The Murphy-Meisgeier Type Indicator for Children® (MMTIC®) is a self-report instrument designed for personality and psychological type assessment in young people grades 2-12. 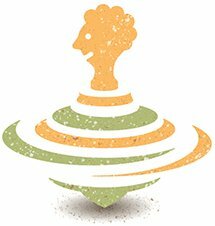 Using the MMTIC assessment requires certification - learn more about the process here. For more MMTIC resources, see Resources for Parents. The following support materials are essential for learning and maintaining best practices when using the assessment with young people. Every student should get a copy of the Exploring Personality Type workbooks. Written for high school students, this is a book about the unique ways they like to learn, think, and act as they go through life. Exploring Personality Type: Creating a Personal Path for Success can be used to help students better understand their MMTIC® results both in the classroom and at home. Students will see themselves in the descriptions of the distinctive personalities and learning styles, because these descriptions are based on years of careful observations of real people. Written at the elementary school level, Exploring Personality Type: Discovering My Best and Your Best is about how students might like to learn, think, and act. 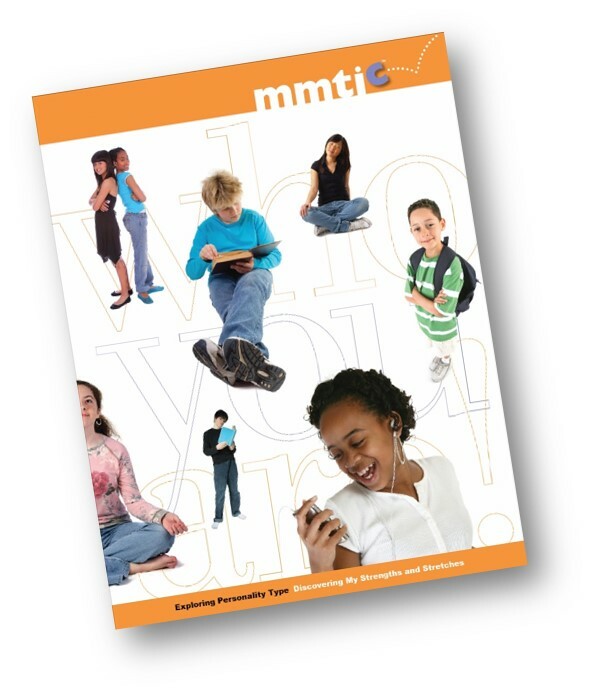 This is a great resource to help children better understand their MMTIC® results and psychological type at home or in the classroom. Students will see themselves in some of the descriptions of different personality types and learning styles. Written for middle and junior high school students, this is a book about how students like to learn, think, and act. Exploring Personality Type: Discovering My Strengths and Stretches can be used to help students better understand their MMTIC® results both in the classroom and at home. Students will see themselves in some of the descriptions of different personality types and learning styles. In this teachers guide to the type verification process author Elizabeth Murphy gives a clear and concise road map for teachers to successfully use the Murphy-Meisgeier Type Indicator for Children® (MMTIC®) assessment with their students. The I Am a Good Student handouts are used in conjunction with this book for the feedback process. Every student learns differently. The Chemistry of Personality is every teacher's invaluable guide to a powerful and simple method of understanding such diversity, exploring a positive approach to personality differences with their students, and using effective teaching methods that reach and engage every young mind. In this pioneering work, Elizabeth Murphy uses personality type as theorized by Swiss psychiatrist Carl Jung to facilitate our understanding of naturally occurring differences in children. This book provides adults with the opportunity to examine well-tested paths for developing positive relationships with the children in their lives. Includes a general introduction to type and the Murphy-Meisgeier Type Indicator for Children® (MMTIC®) assessment. The development, administration, and scoring of the MMTIC assessment are explained, along with information on the reliability and validity of the instrument. It also contains suggestions for applications of type knowledge in the classroom. Every day teachers are faced with a sea of expectant faces—each with a different way of seeing and learning. How can we motivate and empower every one of these young people to reach their highest potential? In Great Minds Don’t Think Alike! education experts Diane Payne and Sondra VanSant provide the ultimate lesson plan for transforming classrooms into places where every child becomes engaged in the learning process. It’s not easy being a teen. Looking back on those days we often say, "If only I knew then what I know now." That statement resonates even more when we think about all the insights gained from our knowledge of personality type. In this era of constant connectedness, but less actual human contact, personality type can help teens find real connections to their peers and to themselves. Everyone wins when personality type enters the picture in the education process. Teachers, counselors, administrators, parents, and students learn there are many paths to success, and embracing differences yields a love of learning that carries on for life. These three books from CAPT provide a wealth of information for educators who want to help students discover their unique potential, including the foundation of type theory and practical exercises for workshops and the classroom.